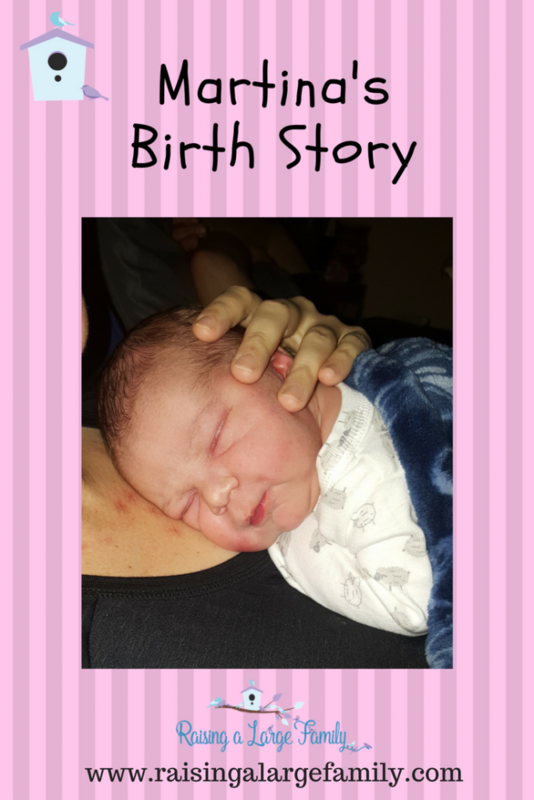 Our world needs positive birth stories. With all the complications we see (c-sections, fetal distress, interventions, etc.) it can be hard for an expecting mother to believe a normal birth is possible. 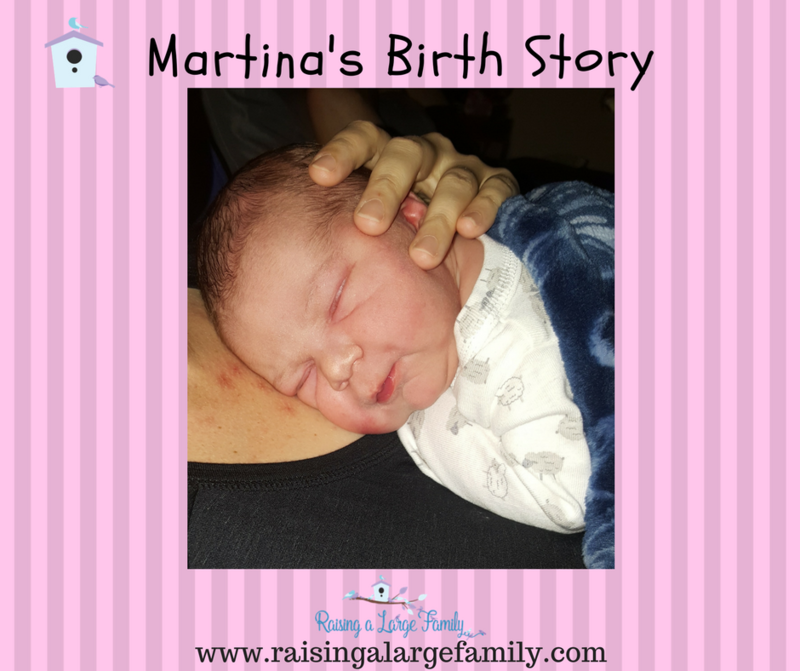 I decided to share Martina’s birth (baby #13) as an example of a ‘normal birth’. I am a very private person. I know that having a blog seems contrary to this idea but I don’t usually express my feelings to people or let others know when I’m having a hard time with something. Maybe it’s self-preservation or something. I don’t know. However, I decided to share her birth because in the world’s eyes I should be having complications with her being baby #13. 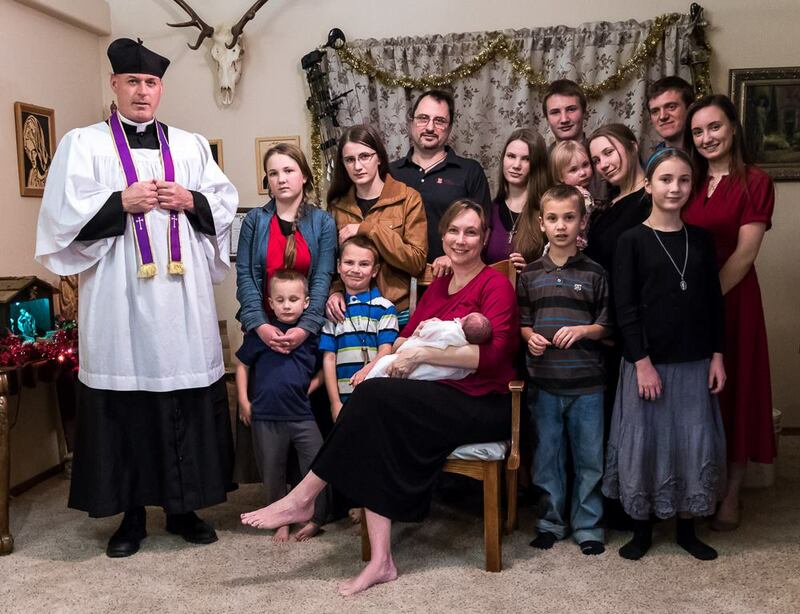 It’s also hard sharing hardships because in our condemning world we shouldn’t be having large families. Am I made to have babies? People always comment that I must be made for birthing. This isn’t true!! 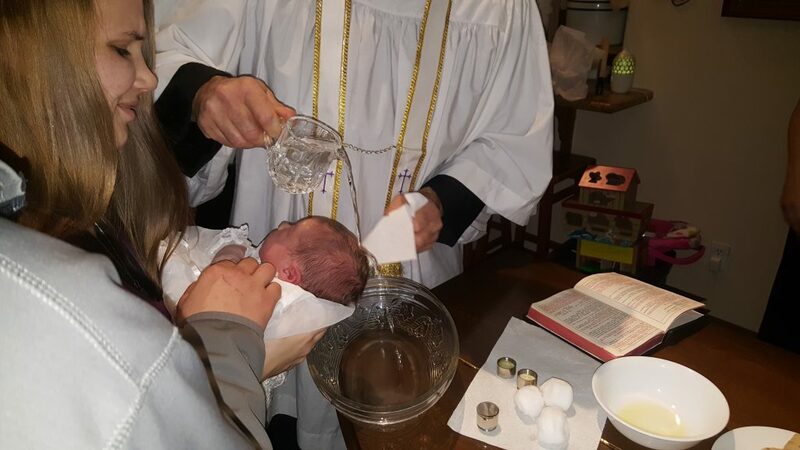 Every birth has a little something different about it that my midwife (God bless her!) gets to manage. I personally believe that if my labors were being managed by an OB my birth outcomes would have come out differently with at least some of my baby’s births. I’ve hemorrhaged, had 2+ day labors (most of my labors), stalled, had long time spans in between contractions, tore, had a posterior cervix clear to (almost) the end of labor, as well as other complications. Every birth has its own story. With this birth, my complications were definitely on the emotional spectrum. She ended up being only the second baby to be positioned correctly at the start of labor, with all the rest being in a posterior position. I was very excited for this yet still skeptical that it was true! This gave the possibility of a fast birth! With it being baby #13 my body knows what needs to be done to birth a baby. With Martina being in an ideal position the outcome should be a fast labor. However, since I’ve had a lot of babies my uterus tends to be a little lazy. All this means is my contractions get spaced out and when it comes to bedtime it forgets what it’s doing and goes to bed just to get back to work the next day. I guess that’s good since it gives me a little bit of rest and energy for the work ahead of it. It can just be mentally exhausting. After all, I’d love to go into labor and know that the baby was going to be born that day. At first, I thought she was going to come much faster than she did. The labor started off light and then picked up to me having hard contractions every 3-4 minutes. It seemed so real! I called Carla and she and Elise (her assistant) came out to prepare. Everything was set up; birth supplies, towels, baby blankets with the warmer, etc. I had originally thought about having a water birth but with so many children around (as well as my daughter’s fiance, Seth, that had JUST arrived in town for a visit) I decided against it. This decision made set up faster as we didn’t have the tub to set up this time around. Well, as night came on my children went into our bus to watch a movie and ‘camp’. They were very excited about ‘roughing it’ and were looking forward to waking up to a new brother and sister. I was walking laps around the property as this has always helped contractions come closer together for me. Walking for hours was becoming exhausting so I decided to come in and lay down for a nap. I was so tired that I fell asleep. As usual (at least for me) this caused my contractions to drastically slow down to where I was only having a few throughout the night. I woke up the next morning and didn’t have a baby to show for all that work I had put in the day/night before. The doula/midwife assistant in me knew that this wasn’t completely true. The baby probably needed to move down or my cervix needed to soften up, etc. But, for a laboring mom, it is hard work to put all that physical and emotional energy into something that was just going to stop and then feel like nothing happened. I was definitely on the verge of crying all throughout the morning. 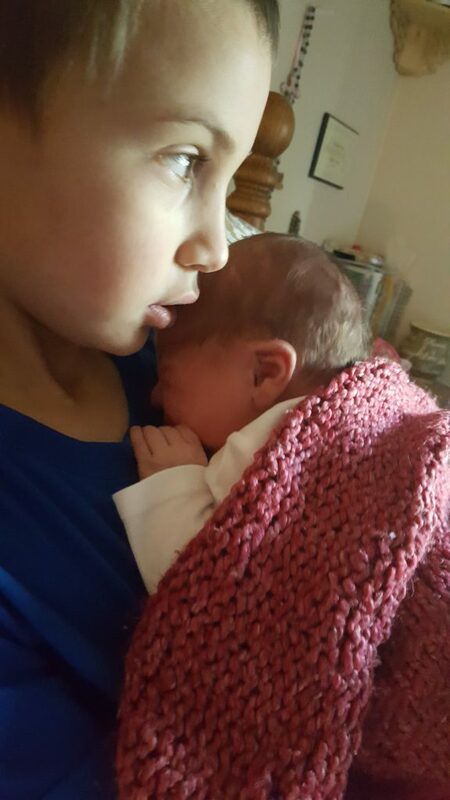 My children got up and were disappointed that they didn’t have a new brother or sister and were wondering why I hadn’t had the baby yet. Really?!? No one could have been more upset than me. My midwife and her assistant saw that labor had drastically slowed down and decided to head home to attend to their own families. I was to call when things picked up again. It took until after lunchtime for my contractions to really start back up, but they finally did. I was emotionally exhausted at this point; not just because of my labor starting and stopping but because my body was hurting and tired. Pregnancy is hard and my body was feeling it. During a Home Birth, Where Do Our Children Go? The children spent a lot of time playing outside, watching cartoons in the bus and walking laps with me around the property. Some of my older daughters spent most of their time with me, one of them serving as my doula (she’s going through certification right now with me being one of her certifying births). 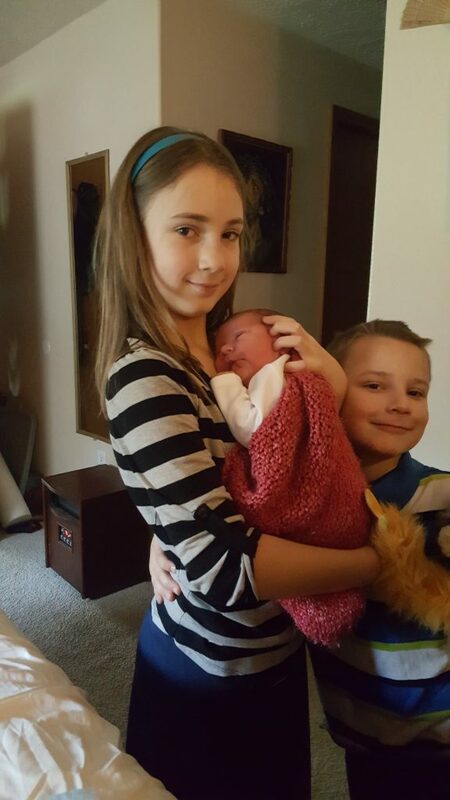 Everyone worked to keep the house quiet and the smaller children busy and occupied, leaving my mind and body to stay focused on my most important task, birthing my baby. With her being gone again I was really mentally struggling. How can I be in so much pain and not be close to having my baby? We continued walking and then I decided to get into the shower. 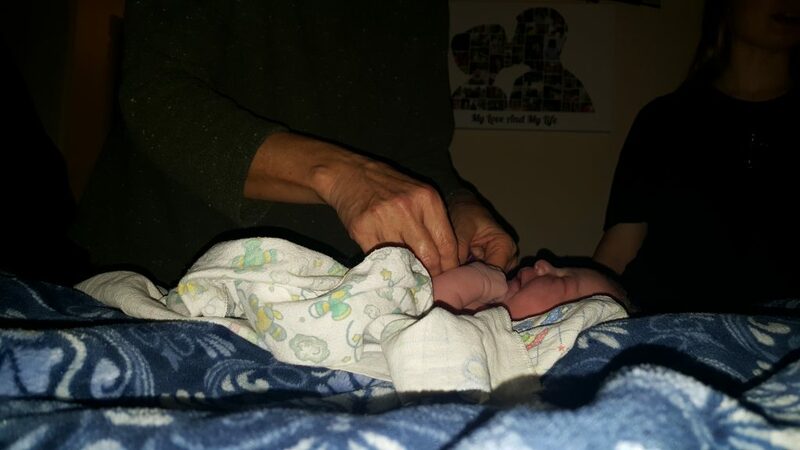 A change seemed helpful, and with my last baby being born in the shower, I felt like it would be a step in the right direction. My contractions were getting closer and my husband was getting nervous. He didn’t like seeing me in the shower without a midwife nearby, so he called Carla to come out a third time. She was at a local grocery store with a cart half loaded that she just deserted by the checkout! I was grateful though as I was definitely feeling close. After they semi-cleaned me up and wrapped her up we invited the rest of the family (except Tim, as he was out of town) in to meet their new sister. Not only did her siblings come in but also Seth, my soon to be new son-in-law. My oldest daughter was getting married in just a month and he had come down from Alaska to visit us. What a way to break someone into the family, heh!?! On a side note, we attend Mass with 2-3 different priests that fly/drive into our area to give us the Traditional Tridentine Mass about once per month. Guess what? Tonight was the night Father was in town. 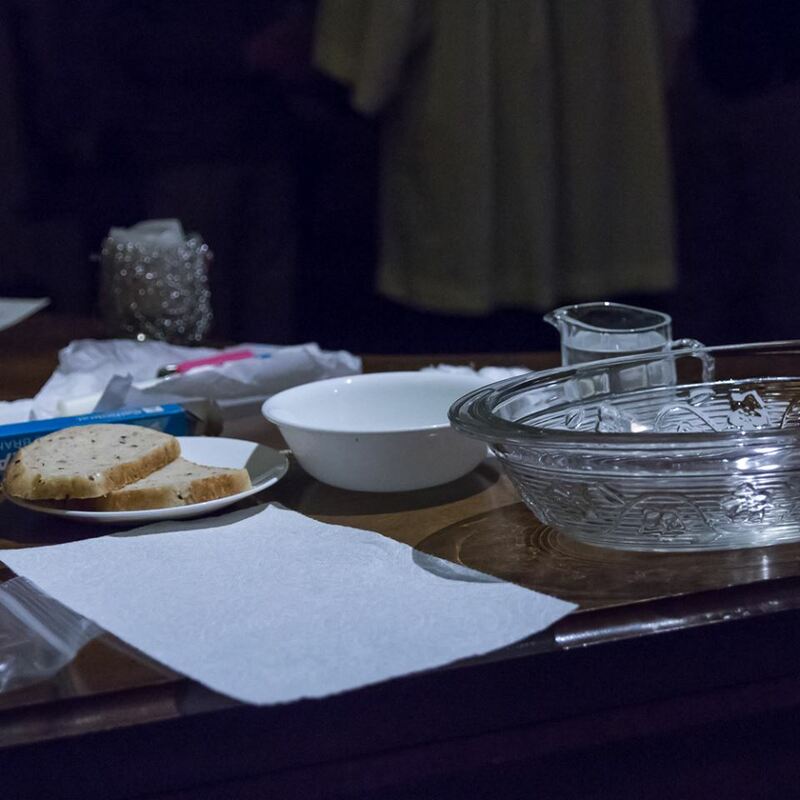 He had already been in contact with Therese and had offered to come to our home to baptize her if we had her in enough time before his flight the following morning at 4 am. Otherwise, he’d be back in a week to baptize her. 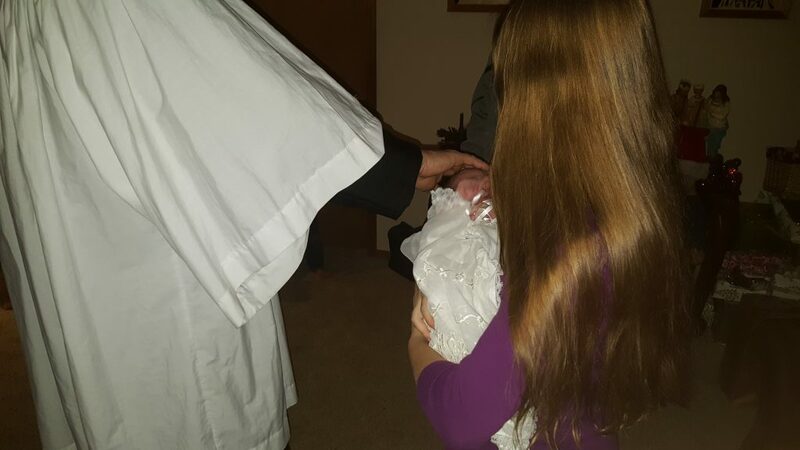 So… she was born at 6:29 pm and baptized at 10:30 pm. I’m not sure exactly how we did it. I do know that I was exhausted, tired, sore, etc. by the time I was helped to bed at 11 pm!